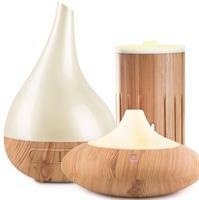 Innovative & stylish the Aroma-Dew cool-mist diffuser is inspired by the shape of a dew drop forming in natures garden. The ‘wood look’ finish brings a touch of nature indoors, and the transparent lid with colour changing lights creates an ambient glow to adore. Colour Changing LED light, which will rotate through a series of relaxing colours, can be set on any colour, or completely turned off. Aroma Diffuser:The elegant mist, produced by ultrasonic waves, releases the essential oils in their 100% purest form and is easily absorbed. 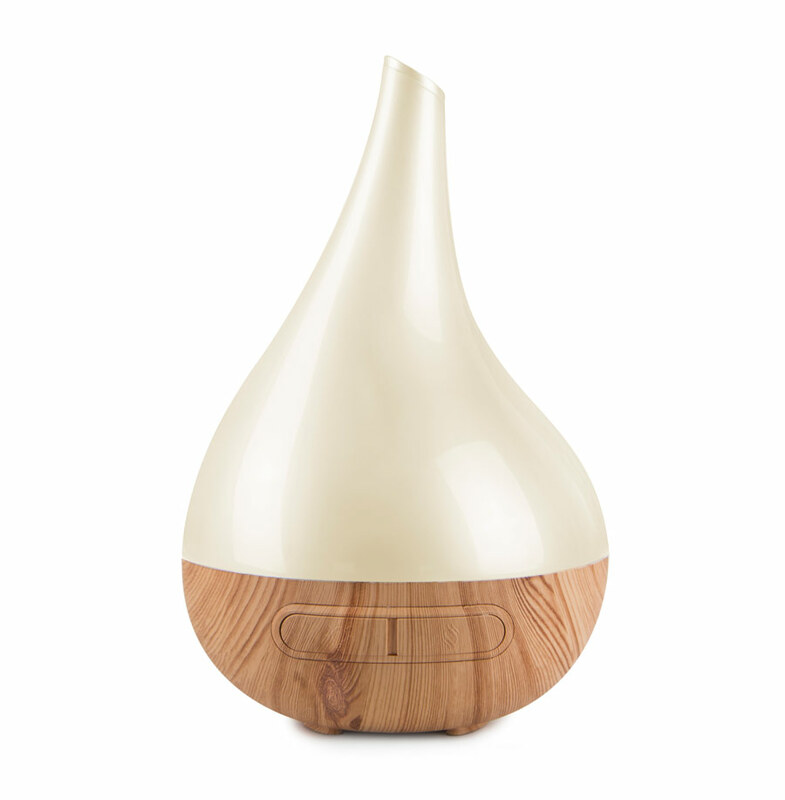 Humidifer:The ultrasonic waves create air moisture to combat the drying effects of heating and air-conditioning. The mositure help to beautify and infuse moisture into the skin without any condensation. Unlike other humidifiers, these ultrasonic vaporisers and diffusers uses small quantities of water and will not create dampness. Air Purifier:The diffuser will release a large number of anions which produce electrostatic reactions with dust and impurities and in turn purify the air, removing allergens, stale air and odours. 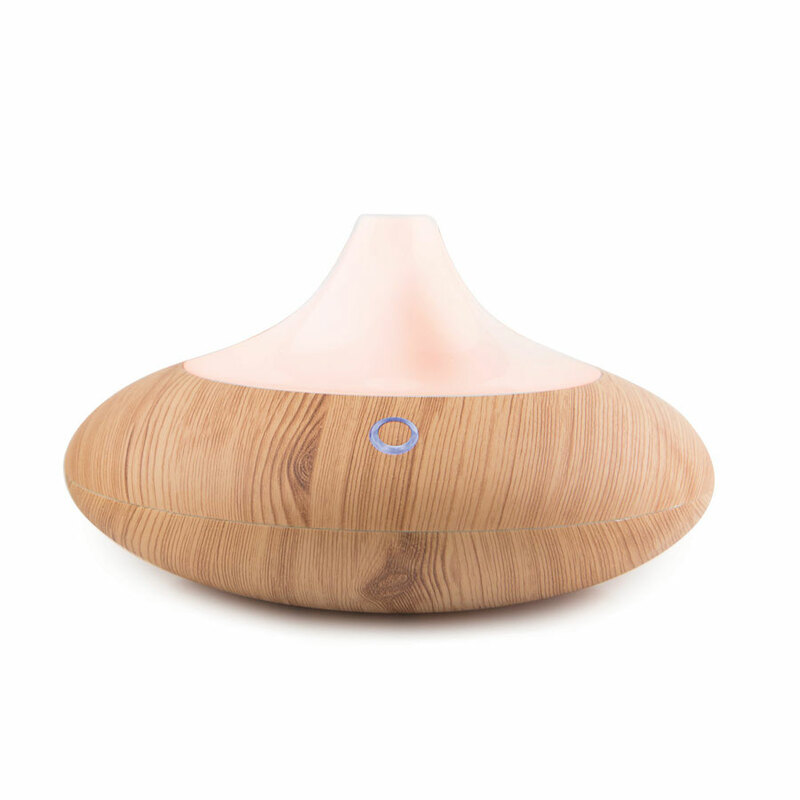 Ioniser:Through advanced ultrasonic technology, negative ions are dispersed into the air which enhances health & wellbeing. Night Lamp:The Aroma-Bloom uses a white LED light which changes in light intensity and is fully adjustable and can be switched off as well. I love my Aroma Dew. It is the perfect size for using in the lounge room and the wood look blends perfectly with my decor.